The year was 1921 and Warren Harding was our 29th President. The song Someday I’ll Find You was a popular favorite and Prohibition was the law of the land. The greatest of all tenors, Enrico Caruso, passed away on August 2nd and on January 31st in the heart of South Philadelphia, Alfredo Arnold Cocozza (Mario Lanza), the son of Italian immigrants, was born at 636 Christian Street. The house is still standing today, only two short blocks from the Mario Lanza Museum. A Pennsylvania Historical Marker identifies his birthplace. As a young boy, Freddie became drawn to the family’s Victrola. With increasing intensity he would listen to 78-RPM operatic recordings with the accent on his favorite, Enrico Caruso. Soon he was singing along and studying plots. In his early teens he could discuss operatic arias and plots with authority. His first formal music training consisted of violin lessons, but his heart remained with opera. Recognizing her son’s latent talent, Maria Lanza Cocozza went to work to pay for Freddy’s voice lessons with Irene Williams, a local teacher with a good reputation. During July 1942 the famous conductor Serge Koussevitzky was visiting Philadelphia and heard Freddy sing. His response was shocked, sincere, and immediate. Repeating the words Caruso redivivus, the maestro made immediate plans for Freddy to sing at Tanglewood. This resulted in his singing the role of Fenton in Otto Nicolai’s The Merry Wives of Windsor. It was at this time that Freddy took the masculine form of his mother’s maiden name and became Mario Lanza. With the world at war it was not long before Mario was drafted. He was soon singing to new audiences, this time in a soldier’s uniform. Before being released in 1945, he had appeared in two Army productions, Frank Loesser’s On the Beam and the acclaimed Moss Hart production Winged Victory. These days also brought into his life the charming sister of an Army buddy, Betty Hicks. It was love at first sight and they were married on April 13, 1945. The union produced four children: Colleen, Ellisa, Damon, and Marc. After his discharge, Mario spent more than a year in serious study with Enrico Rosati, the former vocal teacher of the great golden age tenor Beniamino Gigli. He signed a contract with Columbia Artists management and toured as the tenor in the Bel Canto Trio with soprano Frances Yeend and baritone George London, both of whom enjoyed very successful operatic careers. After singing with Yeend at the Hollywood bowl on August 28, 1947, he was brought to the attention of MGM movie mogul Louis B. Mayer and the course of his life was forever altered. As the saying goes, MGM gave Mario an offer he couldn’t refuse. In addition, a recording contract was consummated with RCA Victor. Events were moving at a very rapid pace. 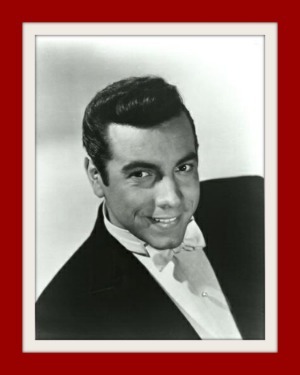 While waiting for his first motion picture, Mario fulfilled a commitment to sing the tenor role of Pinkerton in Puccini’s Madama Butterfly on April 8 and 10, 1948 for the New Orleans Opera Association. His first motion picture That Midnight Kiss was released in 1949 and was a smash hit making Mario Lanza a screen star overnight. This was soon followed by Toast of New Orleans in 1950. Mario crossed paths with fate and destiny in 1951 when he starred as his childhood idol, Enrico Caruso, in The Great Caruso. This was a major triumph in every respect and brought Mario to the very pinnacle of success. This was followed in 1952 with Because You’re Mine. Due to artistic disputes with MGM, Mario was replaced as the star of The Student Prince in 1954, however, his voice was used for the soundtrack. RCA Victor released the LP recording and it became the first million-seller soundtrack album. 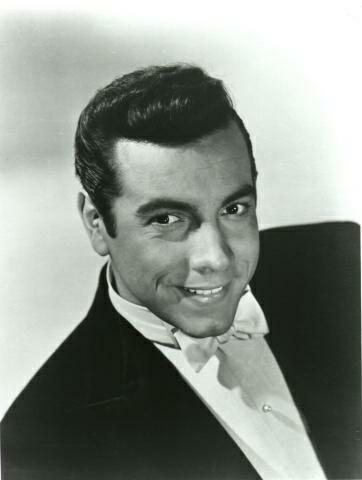 Mario Left MGM, made several recordings, and appeared on radio and television shows until 1956 when he starred in Warner Brother’s artistic Serenade. The Lanza family left for Italy on May 17, 1957 after which he performed for the Queen of England, in several sell-out recitals, and made his final two films, The Seven Hills of Rome in 1957 and For The First Time in 1959. During the early days of October 1959, Mario experienced excruciating pain in his left leg. Tests in a clinic revealed advanced phlebitis. He suffered a fatal heart attack on October 7 and could not be revived. His family and the world were left brokenhearted. A scant five months later on March 11, 1960, his beloved Betty joined him. They left the world behind. Today, more than 50 years later, his recordings and films are available on CD and video. He has inspired a new generation of stars and while time passes, the rest of us listen, love, and remember.